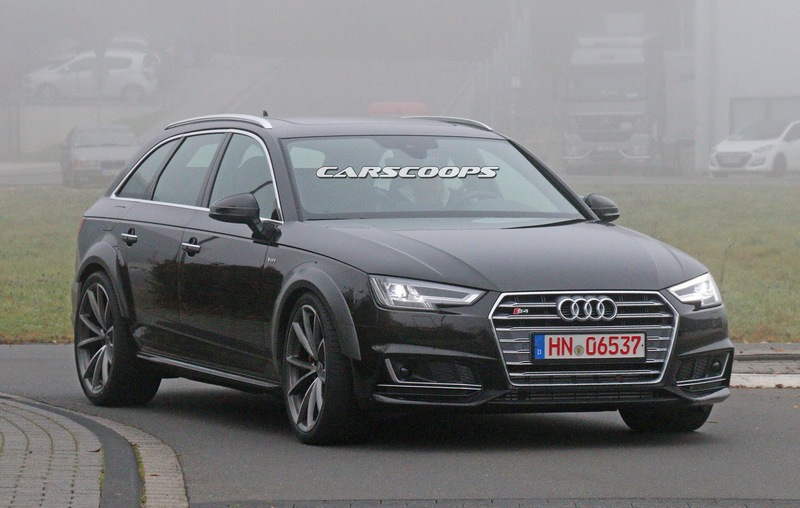 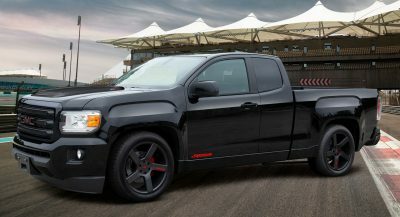 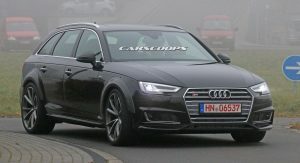 You’ve probably already figured out that the S4 badges and chrome slot grille on the pictured prototype don’t mean anything in the presence of those beefed up wheel arches. 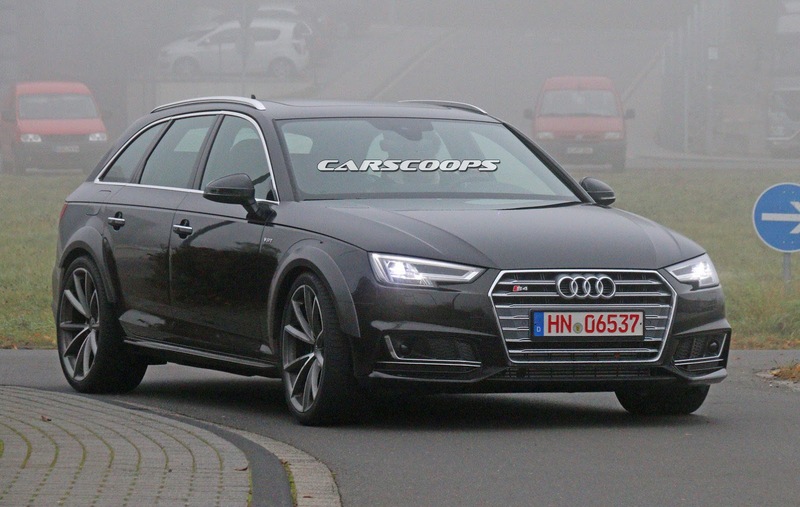 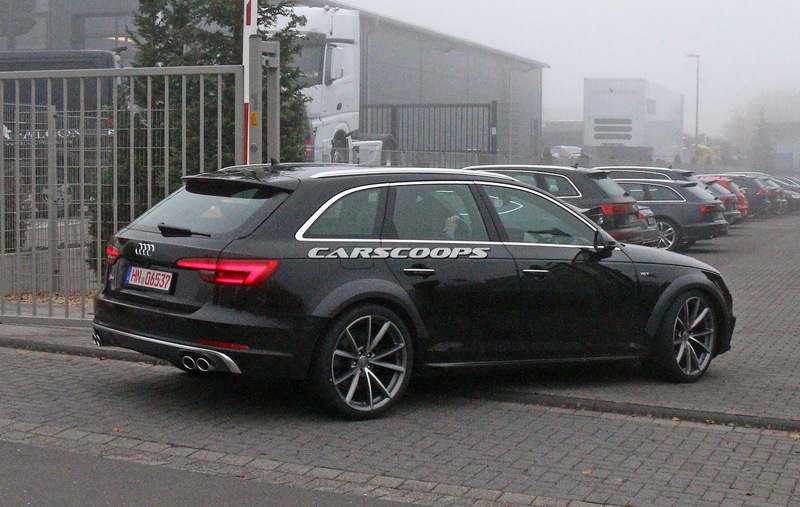 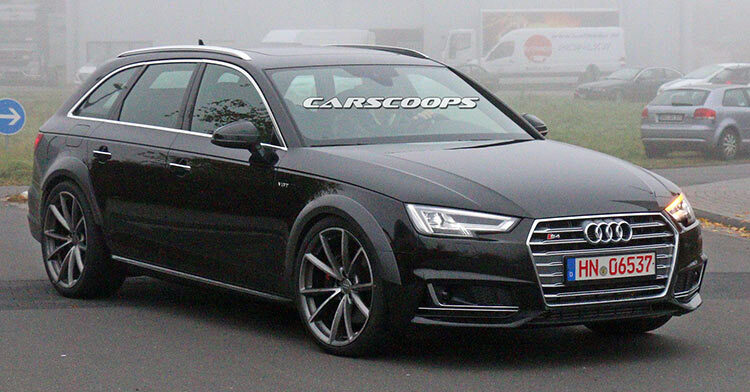 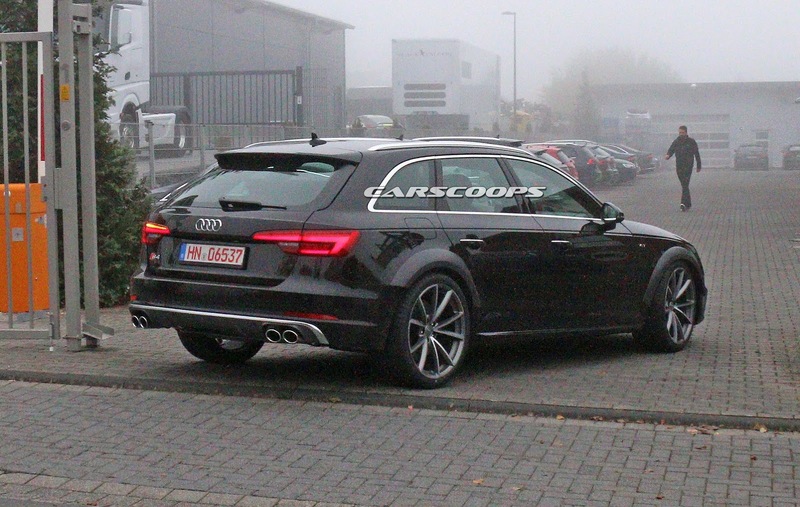 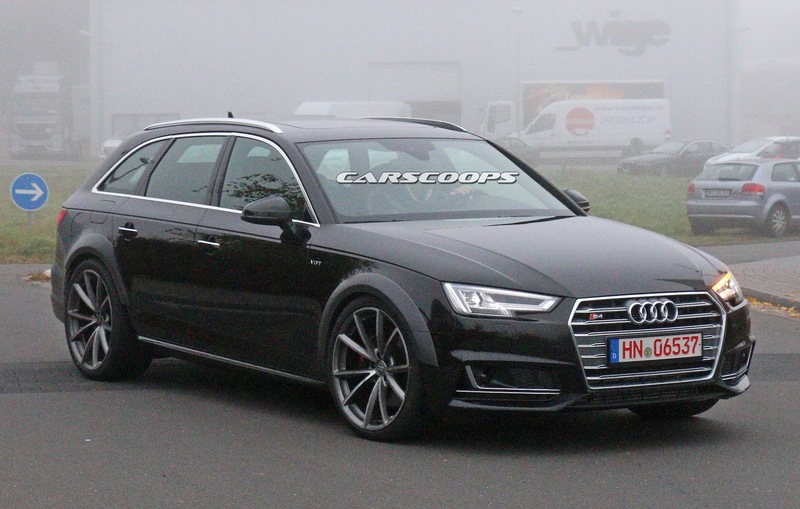 So, yes, this is a test mule for Audi’s next generation super estate, the RS4 Avant. 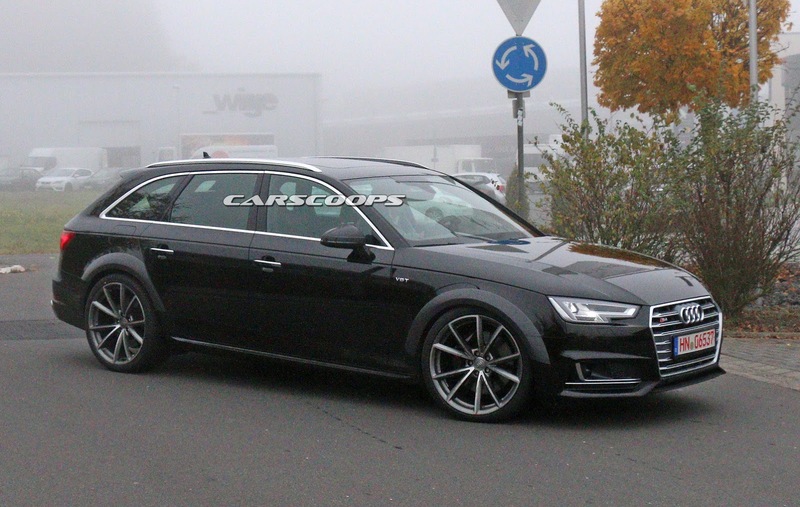 While the extended fenders make room for bigger wheels than those usually seen on the new S4, the lack of bigger brakes and drilled rotors likely point to an early development car, likely to evaluate the chassis. 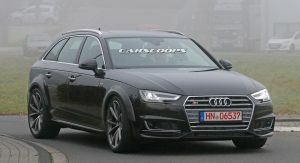 Audi hasn’t confirmed details on the next RS4’s engine, but in keeping with the times, the Germans are expected to drop the naturally aspirated V8 found in the last two generations of the series (B7 and B8), returning to a twin-turbocharged V6 solution, similar to the first RS4 from the beginning of the decade. 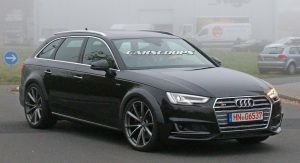 However, some sources suggest that Audi may also incorporate an electric turbocharger to further improve performance, but either way, the boosted V6 will surely produce more power than the 4.2-liter V8 that’s rated at 450PS (444bhp), all while returning better fuel economy and lower emissions. 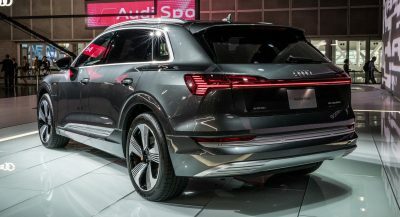 Elsewhere, it will get Audi’s quattro all-wheel drive system paired to a dual-clutch transmission and a modified chassis, together with aerodynamic improvements and bespoke styling cues inside and out.